The Call for Abstracts has been announced for the 2019 CERF conference on Nov. 3-7 in Mobile, AL. Deadline for abstracts: Wednesday, 1 May, 2019. 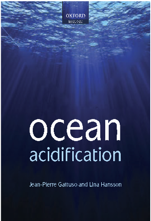 Ocean and coastal acidification: rationales and insights from place-based collaboration. 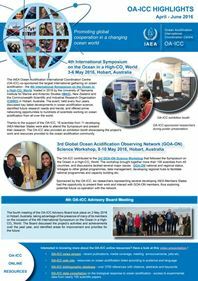 Session Description: Ocean and coastal acidification is an emerging and complex topic which will require similarly complex solutions. This session focuses on collaboration efforts between federal, state, local, industry and academic entities to help monitor, understand, predict, and adapt to ocean and coastal acidification. The coordination and benefits of local or regional collaborations as well as the scientific rationales for working at these scales are appropriate topics for presentations. Session Description: Global climate change is shifting and intensifying natural gradients and variability related to warming, ocean acidification (OA), and hypoxia, with potential consequences for species distributions and trophic interactions (including harmful algal blooms) that can ultimately restructure ecosystems. In coastal waters, increasing OA, heat waves, and hypoxia can be exacerbated by anthropogenic nutrients and carbon inputs. This session will explore investigations of how local multiple drivers impact marine organisms through observations, experiments and modeling, and how these tools can be used collectively to support local pollution impact and marine vulnerability assessments and investigations of effective adaptation and mitigation strategies.